Keep your valuables safe such as a gun, phone, or other smaller items while on the go with a portable safe. 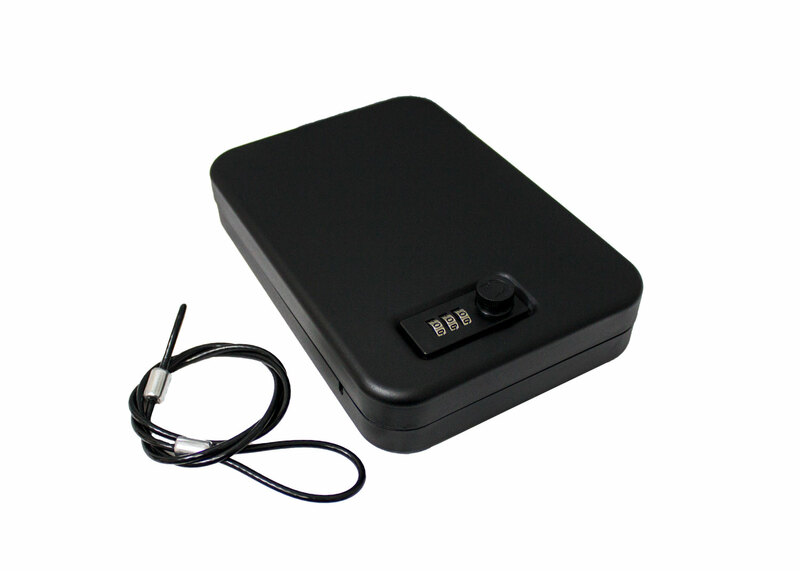 Made of solid steel construction with black powder coated finish, portable safe features a 3-digit combination locking system. Foam-padded interior for maximum protection, it also includes a 1,500 pound test steel cable to secure body of case.